I love taking something old and discarded and giving it new life. 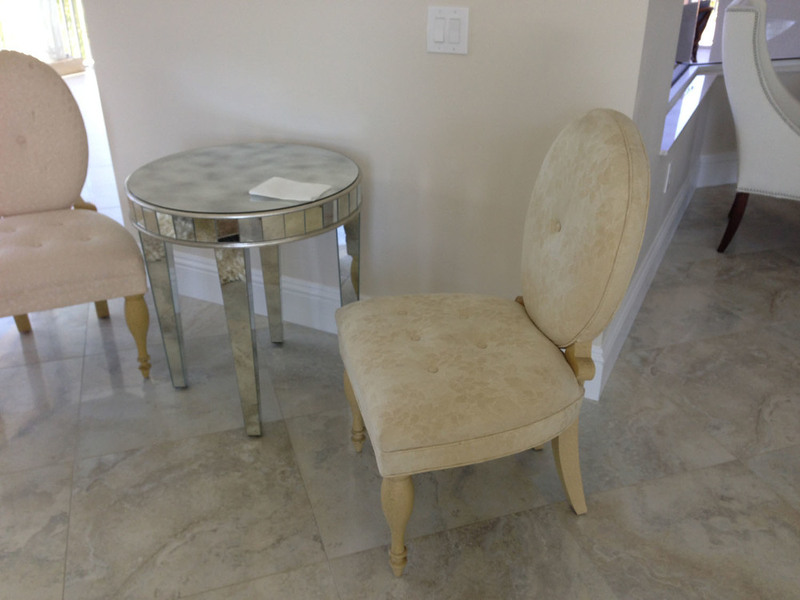 My client knew what she had the minute she saw these chairs. 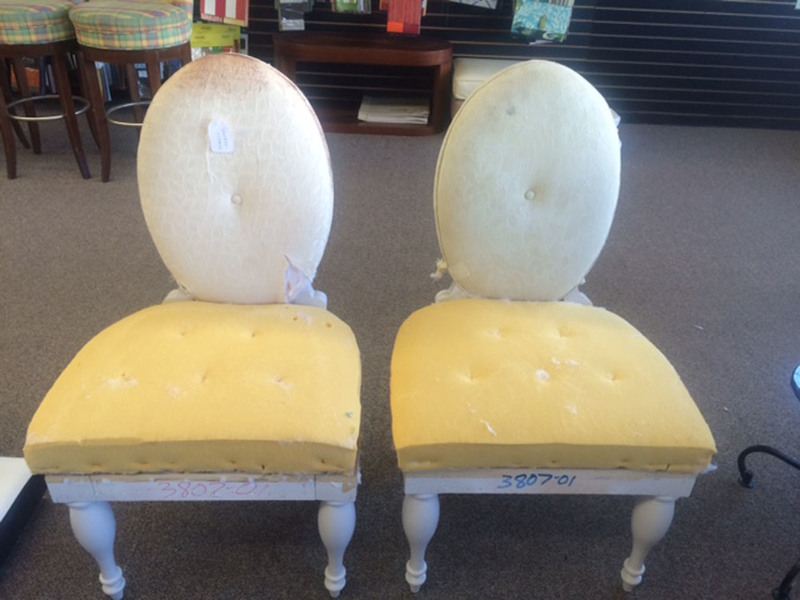 Looking a little shabby with old and worn fabric and legs that were a funny yellow color, they had great bones and like my very savvy client, I knew we could turn them into something gorgeous! Sent them to a professional furniture painter and had old paint stripped. Painted the trim and legs Benjamin Moore's Silver Satin. Then we ordered fabric: a beautiful teal velvet from Kravet. 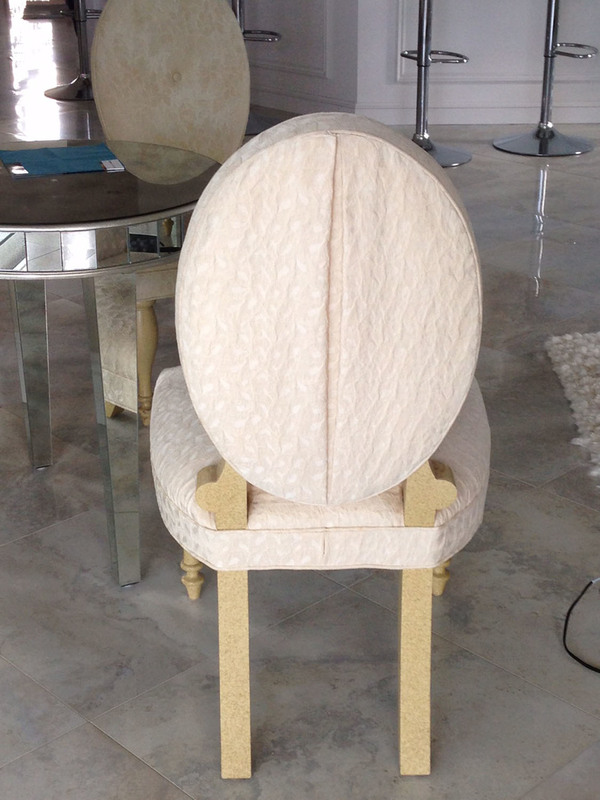 Sent the chairs to Bahama Upholstery and had them re upholstered keeping the trim and other details identical to the originals.